The biggest gainer in terms of comparable-restaurant sales this earnings season has been Chipotle Mexican Grill (CMG). The cult fave for its cilantro-spiked rice, hefty portions and lightning-quick assembly line experienced a 16.1 percent surge in comps during the holiday quarter. In other words, the typical Chipotle location rang up 16.1 percent more in sales than it did during the prior year's fourth quarter. The strong performance has cemented Chipotle's place as the market darling in the thriving fast-casual space, but the strong pop isn't really a surprise. Chipotle rolled out its first substantial menu price increase in three years during last year's second quarter, and in an improving economy with loyal fans of the chain not flinching at the higher price points, it kept its registers busy ringing up bigger bills. The apples-to-apples comparisons will stabilize once we lap the springtime increase, explaining why Chipotle only sees comps climbing in the low-to-mid single digits for all of 2015. However, another surprising winner on the comps front this earnings season was one of Chipotle's biggest rivals. Qdoba -- owned by the burger-flipping folks at Jack in the Box (JACK) -- posted a blowout quarter last week, possibly giving Chipotle a run for its burrito money. Jack in the Box's strong quarter was fueled by a 14 percent pop in same-restaurant sales at Qdoba. The chain suggests that its new simplified menu pricing structure was a key driver in the encouraging performance. Qdoba began charging a single price for its entrees based on the initial protein, letting customers pile on as many extras as they want. Chipotle has been doing things this way for ages, but Qdoba made things interesting by making guacamole -- the one item that Chipotle notoriously charges extra for -- available at no extra cost. Qdoba also offers melted queso, something that isn't on the Chipotle assembly line. It's working. Qdoba went through double the guacamole that it did before the simplified pricing initiative kicked in, and it experienced a little more than half of its customers adding queso. 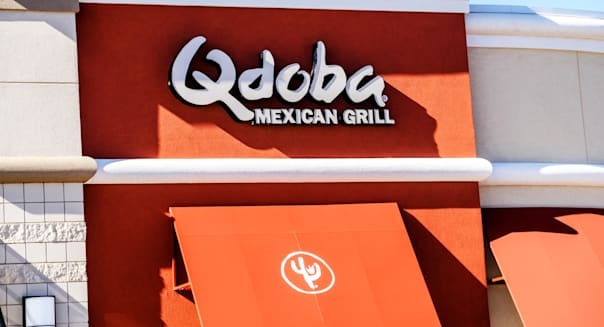 The new strategy finds Qdoba being able to charge more for an average entree, but there was also an uptick in traffic and a double-digit percentage uptick in catering sales during the holiday quarter. Qdoba has now pulled off four consecutive quarters of year-over-year comps growing by at least 7 percent. That's not too shabby for a concept that seemed to be going the wrong way two years ago. Jack in the Box announced that it would be closing 67 underperforming company-owned Qdoba restaurants two years ago. There were 647 total locations open at the time, and the retreat proved to be short-lived. Rapid expansion of both franchised and company-owned eateries now finds 641 Qdoba locations in operation. Qdoba's empire is a little more than a third as large as Chipotle and its 1,783 stores, but investors may want to start paying attention to what's going on at Jack in the Box here. Neither stock is cheap. Chipotle trades at a whopping 39 times this new year's profit forecast, and Jack in the Box isn't much of a bargain at a multiple of 33 times this fiscal year's target. However, both chains are getting it right when it comes to wooing the hungry -- and Qdoba may be the smarter bet in the near future. Unlike Chipotle, which increased prices, Qdoba simply repositioned its value proposition. It seems to be paying off. Unlike Chipotle, with its uninspiring outlook for 2015, Jack in the Box sees comps at company-owned Qdoba units climbing 7.5 percent to 9.5 percent this year. Burrito fans have a choice these days, and thankfully, so do investors. Motley Fool contributor Rick Munarriz has no position in any stocks mentioned. The Motley Fool recommends and owns shares of Chipotle Mexican Grill. Try any of our Foolish newsletter services free for 30 days. To read about our favorite high-yielding dividend stocks for any investor, check out our free report.